UTRECHT - Starting on Monday, organizations in the Caribbean may register for the Appeltjes van Oranje 2018, an initiative of the Oranje Fonds. This year’s theme is ‘young and social enterprising’. The Fonds is seeking projects that are initiated by people under the age of 35. They need to be dedicated to connecting and involving (vulnerable) groups of people. Registering is possible until September 29 via www.oranjefonds.nl/appeltjes. In May each year Queen Máxima hands out the award at Noordeinde Palace in The Hague. Every year the award revolves around a different theme. The Oranje Fonds would like to demonstrate that there are a lot of young people who take the initiative to resolve problems within society. Beautiful initiatives result, which is why this year the Oranje Fonds has decided to put the spotlight on projects that have been initiated by these kinds of young people, who have started a project to address the loneliness amongst the elderly or to provide a better future to disadvantages peers. Projects that would like to have a chance to win an Appeltje van Oranje will need to comply to several conditions. The applicant needs to be 35 years or younger, the project needs to focus on connecting and involving (vulnerable) groups of people, and be dependable on the help of volunteers. All criteria for participation can be found on www.oranjefonds.nl/appeltjes. Annually, the Appeltjes van Oranje are awarded to three initiatives that successfully manage to connect different groups of people or allow them to be involved within society. 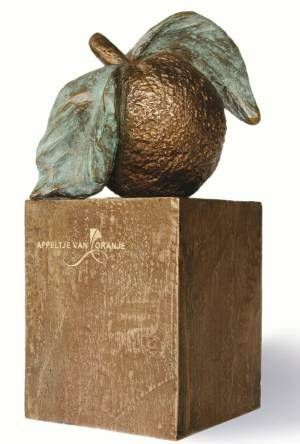 All winners of an Appeltje van Oranje will receive a bronze statue, made by Princess Beatrix, and a cash prize of 15.000 euro. Every year, the awards are handed out by Queen Máxima. The Oranje Fonds supports social initiatives in the Netherlands and the Caribbean part of the Kingdom. Annually, €30 million is invested in supporting thousands of initiatives that allow for people to meet each other, feel less lonely, build common understanding and devote to one another. King Willem-Alexander and Queen Máxima have been the official patrons of the Oranje Fonds since its inception. This year the Oranje Fonds celebrates 15 years of existence.